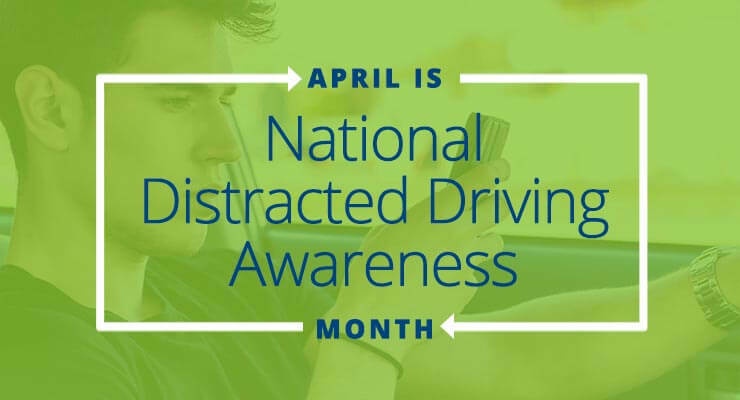 April is Distracted Driving Awareness Month, and GoSwerve wants your help in fighting the rampant problem of distracted driving. If we don’t act, it will only get worse. Unfortunately, the technology has made it easier to drive distracted. From smartphones to iPods; and Bluetooth to GPS, driving is more dangerous than ever– causing hundreds of deaths each year. Join us in cracking down on this dangerous & deadly problem. Here are a few ways you can become less distracted while driving. Avoid using hands-free features in your vehicle. Studies have shown drivers are still distracted and can miss 50 percent of surroundings (other cars, stop signs, turn signals, brake lights) when using any hands free feature in your vehicle. Do not voice text. It may seem safer to voice text than text with your hands, but it is not true, you are still distracted. Remember, technology in a vehicle is always distracting, even if you feel comfortable. Companies spend more than $59 million each year on collisions in company vehicles due to distracted driving. Do not become distracted in a work vehicle, the results of damaging work property could affect your work situation and your family negatively. There are many apps you can download to disallow texting and other phone activity while in the car. This can serve as a reminder when the habit to text or post online comes to mind. Educate yourself or your teen about the risks of distracted driving. Swerve Driving School has researched based teaching methods and instruction which has proven successful having taught thousands of students. Visit https://goswerve.com/ or https://www.facebook.com/SWERVEDrivingSchool for more information on driving tips and training. Be part of the solution and talk to Swerve Driving School about becoming a franchise in your state! Contact us to get more information today.